Tai Industries Limited is a vivid spectrum of enterprises and initiatives. From carbide and chemicals to processed fruits and vegetables to retail and projects - the group has treaded almost all the potential industrial sectors. Dasho Wangchuk Dorji, the Chairman and Whole - time Director of Tai Industries Limited, flaunts a vibrant professional profile where he is a Director of several companies under the Tashi Group of Bhutan, with activities ranging from chemicals, brewery, bank, infocom, hospitality, airlines, beverages. 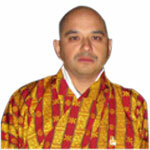 He is also a Director of the Royal Insurance Corporation of Bhutan Limited. 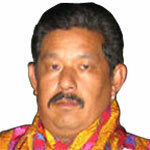 He is the Vice Chairman of Tashi Commercial Corporation. Dasho Wangchuk's phenomenal management and supervision skills have already earned him commendable repute nationally and have propelled his projects further. Enlightened vision, supreme marketing skills, an ability to combine the canon with the avant garde, intuitive understanding and enthusiasm of a sportsman - Mr. Rohan Ghosh, the Managing Director, is all these and more rolled into one. 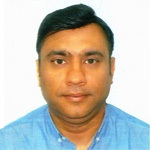 The entire operation of Tai Industries Limited is in the proficient hands of Mr. Ghosh. He has not only applied diversification in the marketing and sale of industrial mineral but has also gifted us with the large format retail chain - 'C3 - The Marketplace'. He is a Director of Jamipol Limited (a joint effort of Tata Steel, SKW of Germany and Tai Industries), for the production of desulphurising compounds, a must for the iron and steel industry, and also a Director of other companies in the Tashi Group. For Dasho Topgyal Dorji, 'marketing' is the magic mantra which he has combined with his specific technical knowledge on Ferro-alloys to steer his projects towards success. The Managing Director of Bhutan Ferro-Alloys Limited hasn't however limited his exposure only to metallurgical truths. He is also the Vice Chairman of Tashi Commercial Corporation with several companies with diverse objects, proving his spirit in distinctly diverse fields of work. In recognition of his contribution to the economy, Dasho Topgyal Dorji had also been elected President of the Bhutan Chamber of Commerce and Industries. 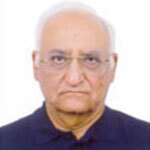 The Tai Group has an extensively traveled and immensely experienced technocrat - Mr. Prem Sagar, on the Board. 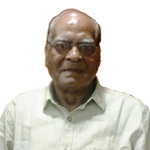 Mr. Sagar's long association with the Tata Group of Companies, including TISCO, his intimate connection with several trade, social and sports associations of India has gifted him with a stature of reverence. When it comes to fruits and vegetables, Tai has already carved a niche for itself in the said industry, both nationally and beyond. And single-handedly managing and catering to this huge bulk of customers' expectations had been Mr. Kanwal Nain Malhotra. The food and beverage industry and the technology involved here is Mr Malhotra's forte. 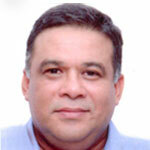 Mr. Vinay Killa has been on the Board of Tai Industries since April 2001. He holds a post graduate diploma in Business Management. His expertise in financial consultancy and advice has facilitated a number of other companies and he is a prized constituent of the Board. Ms. Sarada Hariharan, an alumnus of the prestigious National Law School of India University at Bangalore, joined the Board of Tai Industries Limited on 17th September, 2014. She has been trained under several senior legal professionals in Mumbai, Bangalore and Cochin and was recruited to work as an Associate for the Chambers of Zia Mody, a prestigious Mumbai based law firm, distinguished for its international clientele. 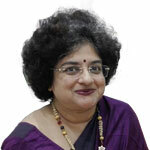 She presently has her own practice as a solicitor/ Advocate on Record, Calcutta High Court.